This week it’s Ignite Bikes and the Mobile Social Interbike with Kickstand Magazine. Then we’re off to London for another Mobile Social with Mission Workshop and riding our Dahons in Berlin. Cousin Eddie: I haven’t seen a beatin’ like that since somebody stuck a banana in my pants and turned a monkey loose. Clark Griswold: Thanks for the pick me up Eddie. Inspired bikes talks with influential bike peoples – 9/23, 4:30 PM at the Interbike Media Center. RSVP on Facebook. 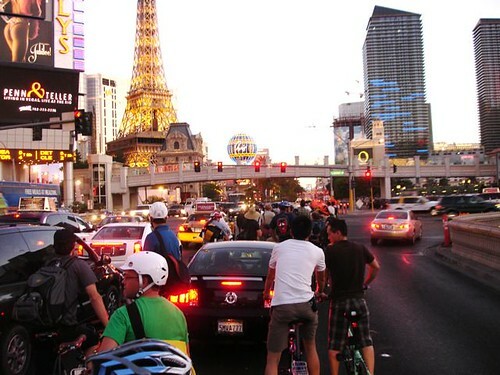 Ride the Strip – meet at 6:30 PM, outside the Sands Convention Center for a roundtrip ride on the Strip. Various after party choices, including Gold Sprints. RSVP on Facebook. 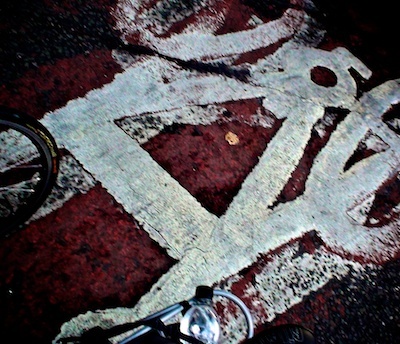 Streets of London – ride from and Reception at Mission Workshop. RSVP on Facebook. Once we’re back in Seattle, it’s more Cross, including SSCXWC and bikes like this.